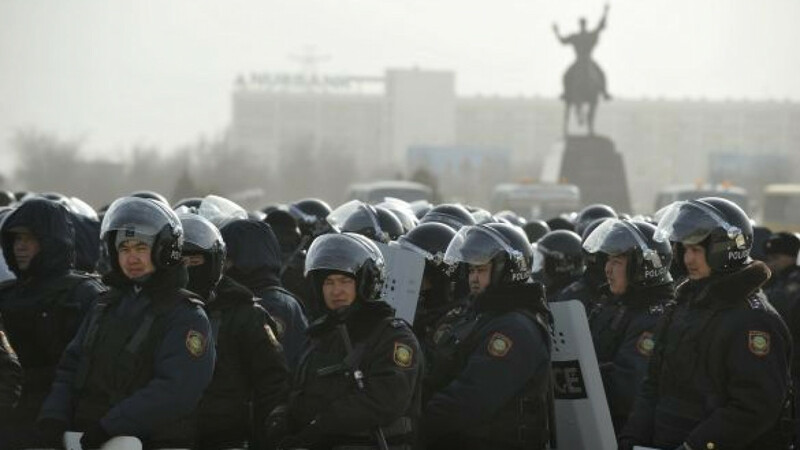 ALMATY, Kazakhstan — Riots by oil workers in western Kazakhstan suggest that pressure is mounting for President Nursultan Nazarbayev to relax the rigid authoritarian system he has built in a nation that is fast losing its veneer of stability. Officials say 14 people were killed in Friday’s clashes following the dismissal of oil workers in Zhanaozen in western Kazakhstan and another person was killed when violence spread to a nearby village on Saturday. It was a local crisis that had long been simmering and local authorities had failed to master. “People want to be heard, but there are no mechanisms that would allow people to be heard. … This results in such brutal methods,” Kazakh political analyst Aidos Sarym said. “Zhanaozen actually threatened the unity of our nation. Nazarbayev, who remains popular in Kazakhstan, was shown on state television moving from one celebratory gala to another in the capital, Astana, as clashes were breaking out on the 20th anniversary of independence from the Soviet Union. In the clashes, oil workers and their supporters confronted police and torched numerous official and private buildings in Zhanaozen. They were the deadliest clashes since Soviet times. Thousands of oilmen had been on strike in the Mangistau region since May, demanding a rise in wages. The Kazakh authorities have sought to shift blame away from Nazarbayev. Amirzhan Kosanov, a Kazakh opposition leader, dismissed any suggestion of foreign involvement. “I am afraid that these allegations about foreign provocateurs … will become a reason for the authorities to refuse to analyze the true causes of the events in Zhanaozen,” Kosanov wrote on his Facebook page. In his speeches, Nazarbayev draws attention to living standards in Kazakhstan, which are much higher than in other Central Asian countries. He also underlines “stability and harmony” as the main achievement of his rule. But a series of explosions and shootouts across the country this year have unnerved the authorities. “The exemplary political stability that Nazarbayev has touted and presented as one of his biggest achievements shows growing cracks that come at the worst time for Nazarbayev,” Gevorgyan said. Analyst Malashenko said he believed that Nazarbayev is in a very precarious situation. “I think he has been losing so far, and should he suppress the current outbursts with force, something similar is likely to erupt,” he said. News of the suppression of the riots has spread on social network sites, but the picture has been different in the traditional media. The main state channel, Khabar, ran a feature film about Nazarbayev’s life and interviews with him. Singers sang songs with lyrics written by him, and video clips lionized him as “the founder of new Kazakhstan.” Internet, mobile communication and telephone landlines were cut off from Zhanaozen. “This manner of behavior — by blocking social networks and jamming information — has shown to the entire world that the authorities have actually lost,” Malashenko said.